Meet Yuggadus – an irregular clubnight initiated by Harmony Rec.founders Yan and Chnl, the main focus of the night are dubby and abyssal Techno sounds with emphasis on up-and-coming yet already influential artists. Launching the series is Ben Buitendijk, a Rotterdam-based artists who has been spreading abroad the Chain Reaction and Basic Channel tradition and reassembling the blueprint sound in the vein of North European and Italian Techno. In 2016, Bultendijk founded the label Oblique Music, a primary exhaust of his sonic effort. 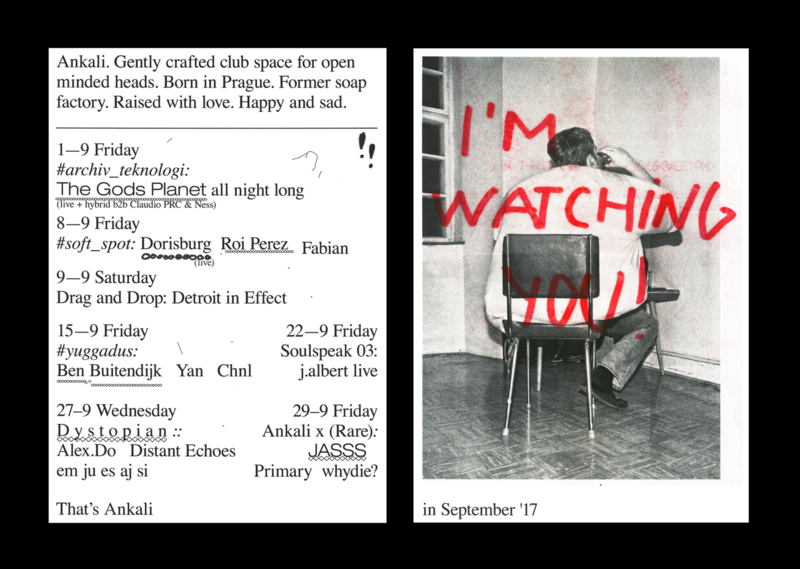 The night of Friday September 15th will see Ben play his debut performance in Prague – at Ankali. Warming up the floor for him will be the already mentioned Yan and Chnl, who will provide local and cognizant take on the immense depth of echoing dance music.